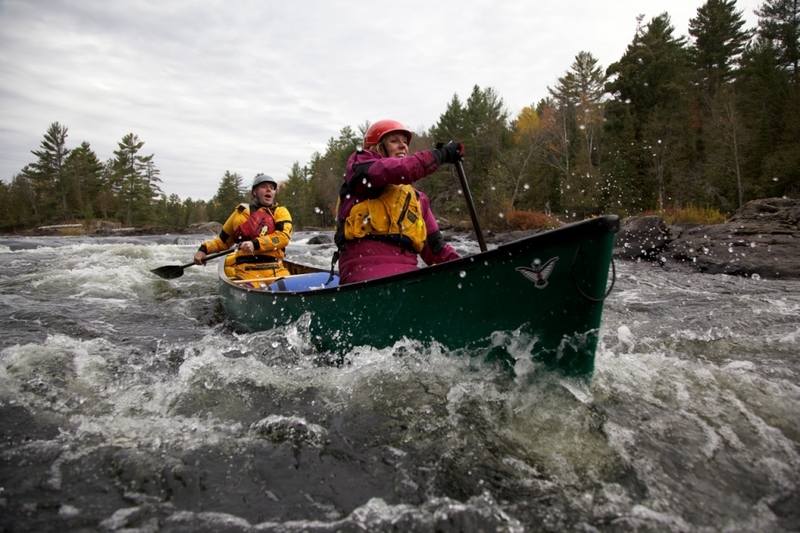 From its canoe-centric home base in London, Ontario, Nova Craft is introducing two new whitewater canoe designs for 2013, the Moisie and the Ocoee, both available in Royalex and Royalex Plus, for those seeking a little extra durability. Nova Craft is bringing back the classic Ocoee OC-1 design in honor of whitewater paddler, competitor and boat designer Frankie Hubbard, who passed away in 2003 after a battle with lung cancer. According to Tim Miller, president of Nova Craft, “We were in touch with Frank’s family to be sure it was Ok with them. And we talked to Dagger, and they were really excited about us getting the Ocoee back on the market. As a kind of thank you to the family, we chose to give the boat away to a young paddler every year, in his name.” Hubbard was not only considered ahead of his time in the sport, but also a kind, modest and compassionate person. The new Ocoee is almost exactly the same design as the old Dagger Ocoee, with a few small changes made for manufacturing purposes, based on the original Hubbard design. 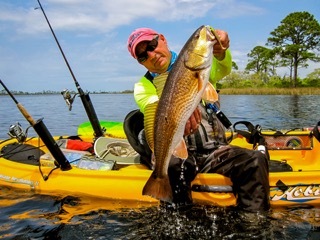 It is one of the most popular solo whitewater canoes ever produced. The Ocoee’s flexibility is remarkable for creeking and general river running and it is an outstanding OC1 for slalom. With practice, the Ocoee is a canoe that anyone can handle. The Ocoee is 11’ 3”, will come standard with vinyl gunwales, at a weight of 38 lb. in Royalex and 44 lb. in Royalex Plus. The annual “Frankie Hubbard Award” will be announced on May 4th of each year (the day Hubbard passed away). 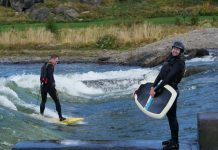 This award is intended to recognize young whitewater paddlers, between the ages of 14 to 21, who stand out within the paddling community. Nova Craft dealers, outfitters, ambassadors and partners can submit their nominations by April 15th to have their nominee eligible for this award. Nova Craft’s committee of industry leaders will review the submissions and select the “Frankie Hubbard Award” winner, who will then be given his or her Ocoee. For more information and to submit nominations, email tim@novacraft.com, post on the company’s facebook page, or through a Nova Craft dealer. The second whitewater boat in the 2013 line is the Moisie, inspired from an original Steve Scarborough design. It is a tandem whitewater canoe that will appeal to seasoned paddlers with a taste for adventure. Extremely responsive under the toughest conditions, it’s perfect for any water type and will also keep you dry with a big load. At 16’ 6”, the Moisie will come standard with vinyl gunwales, at a weight of 64 lb. in Royalex and 77 lb. in Royalex Plus. 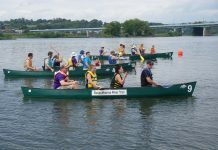 “We’re really looking forward to these whitewater boats. There’s a lot of strong demand on them already. A lot of people are looking forward to the Ocoee coming back on the market,” said Miller. Check out this video of the new Moisie in action.